Since 1998, often seen nestled in the stores windows among their legendary luggage, Louis Vuitton has been sharing its unique take on the world through its City Guides. I have long been a fan of them, owning both Paris and Los Angeles, as they feature a careful selection of addresses however, they have never really been updated or the collection expanded – until now. 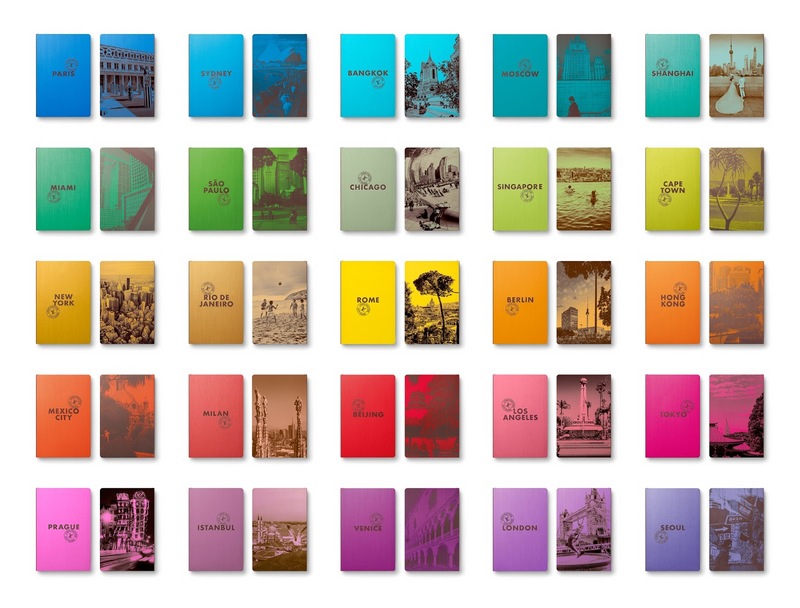 From November 2015 sees four completely new cities added to the collection: Bangkok, Chicago, Prague and Rome and fully updated, the Paris volume is packed with new addresses, as are London, Hong Kong, Los Angeles, Miami, New York, Beijing, São Paulo, Sydney, Tokyo and Venice. Whilst the humble guide book may remain a popular travel accessories, Vuitton will this year, for the first time, launch a mobile App to coincide and complement the collection of City Guides. Easy to use, in one click you’ll be as well-informed as any local with special guest contributors, secret addresses, city walks, cultural events; how to enjoy the city in a short 24 hours as well as the traditional guide to the city districts. 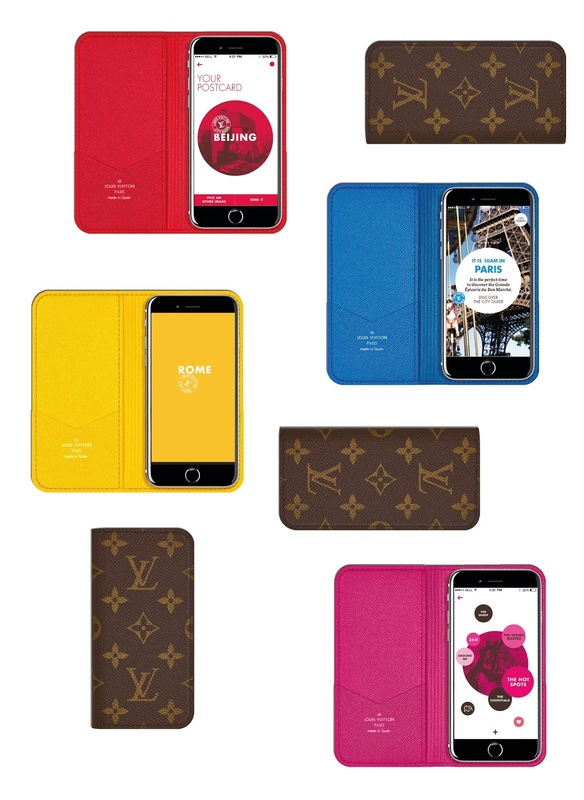 Not wanting to leave you without a smart accessory, To complement the new Louis Vuitton City Guide App, they have produced a small leather case with the Monogram pattern, designed to protect your iPad and iPhone. Available for iPhone 6 and iPhone 6 Plus, the new cases come in four extra colours inspired by the city collection: blue for Paris, yellow for Rome, red for Beijing and pink for Tokyo. Doing a lot of travelling this year? 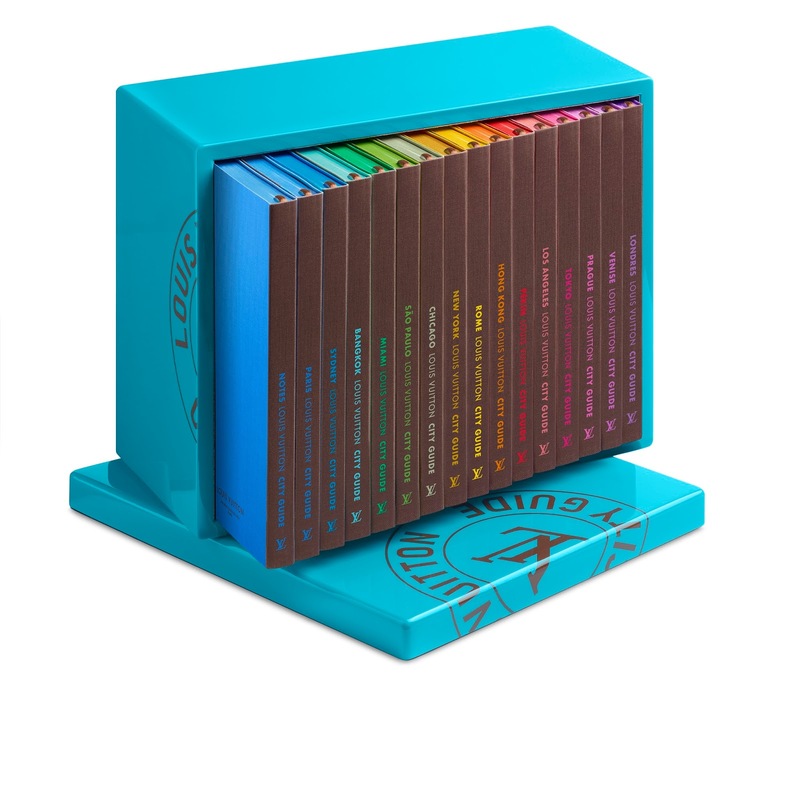 Then the superb box-set of 15 of the guides is available to buy, along with the phone cases, exclusively in Louis Vuitton stores, with the App Guides available for £9.99 from iTunes.